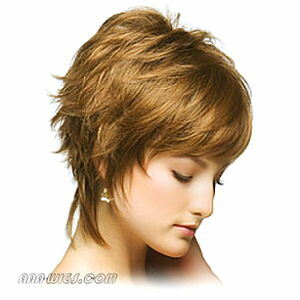 Modern, romantic shag wig with textured ends and a longer nape. Features a Monofilament Top for a natural look and for styling versatility. Only available by special order in quantity of 6 or more. Contact us for assistance and a quote. Almond Spice, Champagne, Cinnamon Spice, Creamy Toast, Mocha-H, Nutmeg-F, Nutmeg-H, Plum Raisin, Raisin Glaze, Raisin Glaze-H, Sandalwood-H, Terracotta-H.